Yarmouth police detectives and their drug dog Gauge searched a local couple’s home Monday afternoon and seized more than 29 grams of suspected fentanyl and cocaine, along with other contraband, authorities said. 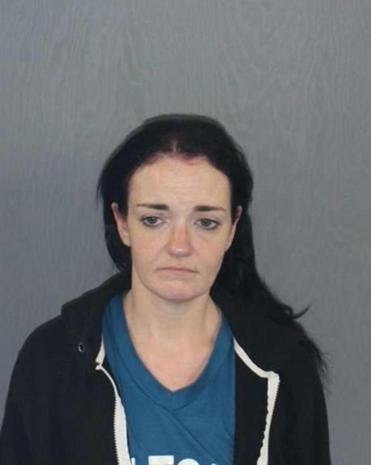 Now the suspects, Meghan E. Coulstring, 35, and Deborah L. Selan, 53, are facing drug trafficking charges, according to a statement from Yarmouth police. It wasn’t known if the women had hired lawyers. Yarmouth police said Detective Scott Lundegren of the department’s Drug Enforcement Unit, members of the Detective Division and Proactive Anti-Crime Unit, and narcotics canine Gauge hit the couple’s residence on Ivanhoe Avenue around noon Monday. The items seized included 21.6 grams of fentanyl, 7.6 grams of cocaine, two digital scales, Percocet tablets, Lyrica tablets, a Dexamphetamine tablet, a cellphone, plastic sandwich baggies and other packaging materials, and $446 in cash, according to the statement. Coulstring and Selan both face charges of fentanyl trafficking and possessing other drugs with intent to distribute, according to the release. Police urged the public to contact the department with any tips they may have about drug crimes in the community. “If you, or a loved one needs help, or you have information about drug distribution, violence, or any other crimes occurring in the Town of Yarmouth, please contact the Yarmouth Police Department Detective Division at 508.775.0445 extension 2134,” the release said.